Rediff.com » Movies » Malaika, Priyanka, Sunny: Who is hottest? As temperatures in Mumbai rise, our actresses are keeping pace, heating up Instagram media with their pix. Just how hot is Malaika? 'It's a new dawn, new day, new life... feeling real good,' Shibani posts on Instagram. Mandira keeps things hot as she steps out in the sun. Sonarika keeps it hot in monochrome. 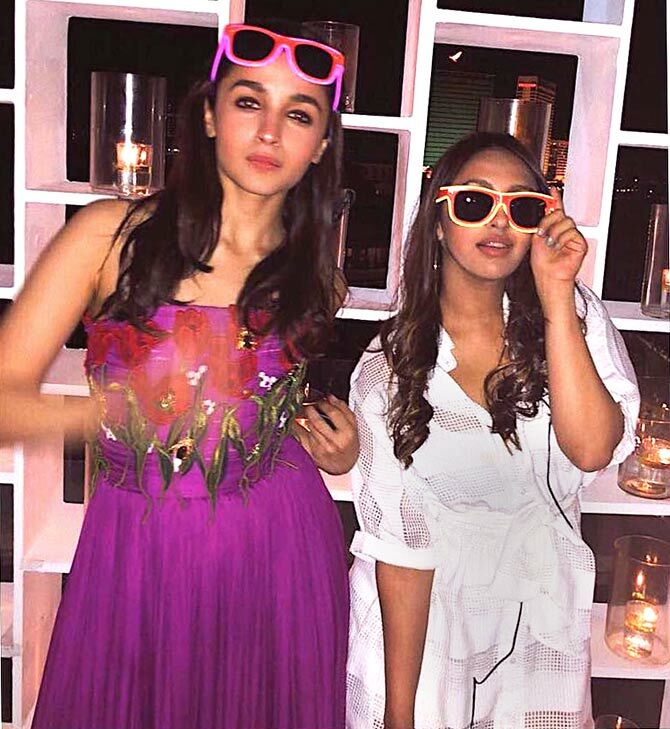 Can we join the party, Alia? Priyanka shows off her high fashion. Mini gives the sari a twist. We miss Bips in the movies. Even post pack-up, Karisma looks amazing. Patralekhaa, Kalki, Katrina: Who is the hottest this week?